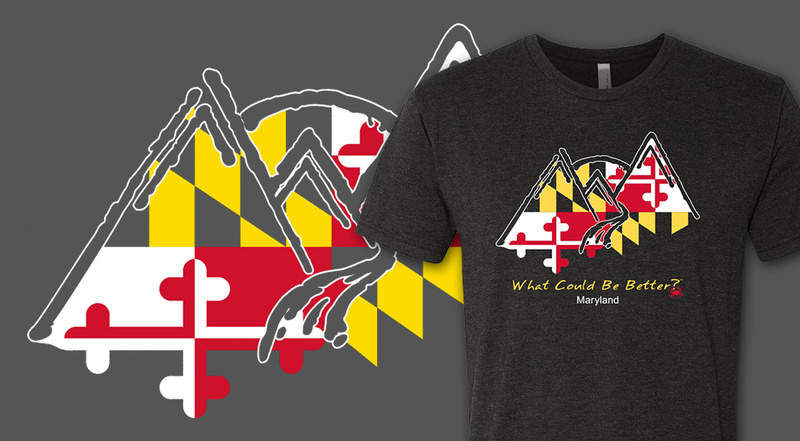 Maryland Flag - What Could Be Better? - WCBB? Maryland is a beautiful state with so much to enjoy about the outdoors. A lot is packed into the 10,460 square miles of land and water - the Chesapeake Bay and sandy beaches to the East, farmland, a plethora of lakes, parks, and mountains in the Western portion, and a section of the Appalachian Trail... it is no wonder Maryland is called “America in Miniature.” Not to mention the iconic Maryland blue crab, Old Bay seasoning, and the coolest state flag. What’s not to love about this state?